When it comes to business, we talk too much about social media and expect too little. It’s like the old joke about sales people: one person says, “I made some valuable contacts today,” and the other responds, “I didn’t get any orders, either.” Companies measure the market results of their sales investments. But few have measures or even have accountable managers in place for their social media investments, and only 7% say their organizations “understand the exact value at stake from digital.” Meanwhile,according to a Gallup survey, 62% of U.S. adults who use social media say these sites have no influence on their purchasing decisions and only 5% say they have a great deal of influence. The most common metrics for evaluating social media are likes, tweets, reviews, and click-through-rates (CTRs) for online ads — not cause-and-effect links between the medium and market results. The basic investment logic is typically no deeper than a version of “Fifty million tweets or likes can’t be wrong” . . . or can they? There is justifiable skepticism about this data. Farming services spike these numbers, with evidence that one in three online reviews is fake. For $50, you can buy 1,000 Likes, 5,000 Twitter followers, or 200 Google +1s. With real people, moreover, 8% of internet users account for 85% of clicks on display ads, and 85% of social media updates come from less than 30% of a company’s social-media audience. One online reviewer, Harriet Klausner, has reviewed more than 25,000 books. A Forrester study found that posts from top brands on Twitter and Facebook reach just 2% of their followers (note: that’s followers, not new customers) and only 0.07% of those followers actually interact with those posts. As others have noted, people are more likely to complete a Navy Seal training program or climb Mount Everest than click on a banner ad. There are, as always, opportunity costs. Since 2008, according to a McKinsey study, companies have devoted more time and money to social networks and 20% less to e-mail communications. Yet, the same study found that humble e-mail remains a more effective way to acquire customers — nearly 40 times more effective than Facebook and Twitter combined. Why? Because 90% of U.S. consumers use email daily and the average order value is 17% higher than purchases attributable to those social media. Technology changes fast — remember MySpace and Friendster? — but consumer behavior changes more slowly. As a result, people tend to overhype new technologies and misallocate resources, especially marketers. With new media, therefore, great expectations are common and missing the goal is understandable: it takes practice and learning. But changing or dismantling the goal posts is a different story. 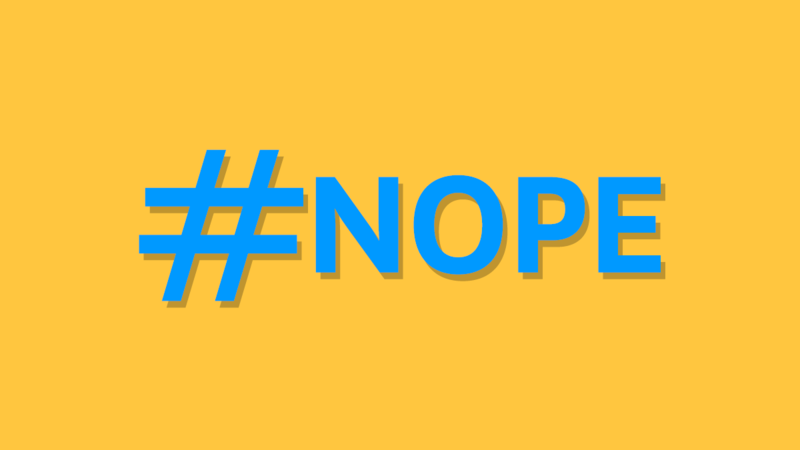 It’s now common to say that social media is “really” about awareness, not sales. Companies that “get” social media should be “relentless givers [who] connect instead of promote.” In fact, forget “traditional” ROI (that lovely qualifier), focus on consumer use of social media and, instead of calculating the returns in terms of customer response, measure the number of visits with that social media application. How convenient: to be evaluated with a metric without tangible marketplace outcomes. But it’s wrong, a circular argument, and smart companies should not follow this flawed business logic. The value of any advertising, online or offline, depends on what effects it has on purchases. As Bill Bernbach, David Ogilvy, and other ad execs have emphasized, “our job is to sell our clients’ merchandise, not ourselves.” Those effects are difficult to measure, because consumers buy (or not) for many different reasons and even good ads in the right media have both carryover and wear-out effects that vary over the product life cycle and an ad campaign. But to justify an investment by activity and not outcomes is a tautology — we advertise because we advertise — not a meaningful business argument. Even an activity measure, moreover, assumes the consumer can see the ad. 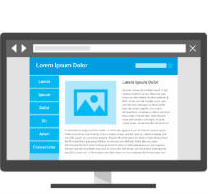 Did you know that a display ad is deemed “viewable” if at least half of each ad is visible on your computer or smart phone for a minimum of one second? Data released in 2014 by comScore indicated that more than half of online display ads appear on parts of a web page that are not viewable. 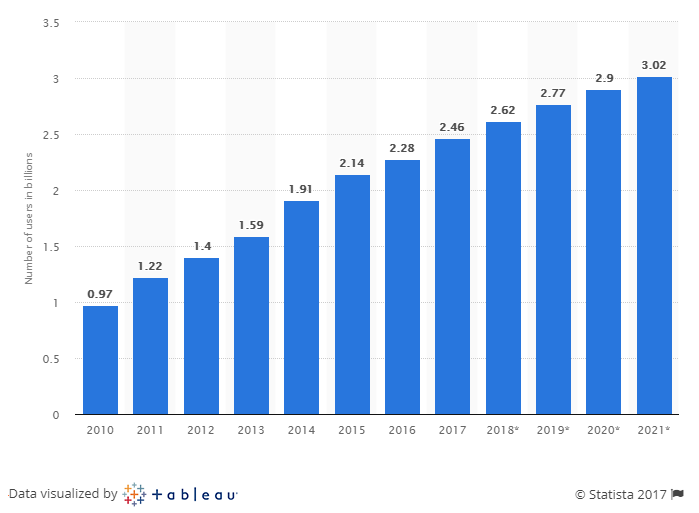 In response, the Interactive Advertising Bureau noted that for various reasons 100% viewability is “not yet possible,” but the industry should aim for 70%. In other words, hope that “only” 30% of your intended ads are not seen by anyone for at least a second! Further, what we now know about shopping and social media activity says that online and offline behavior interact. They’re complements, not substitutes, and you ignore these interactions at your peril. The vast majority of communications on social media sites are between friends who are within 10 miles of each other. The same is true about the available data on buying behavior. As Wharton professor David Belldocuments, the way people use the internet is largely shaped by where they live, the presence of stores nearby, their neighbors, and local sales taxes. For years now, we have heard big talk about the big data behind big investments in social media. Let’s see who is behind the curtain. It’s time to expect more from social media and prove it. The Association of Advertising Agencies has refused to endorse the 70% goal and wants 100% viewability, which means if an advertiser buys 1 million impressions from a site, that site must display that ad as many times as it takes to ensure a million viewable impressions. In 2014, The Economist guaranteed those who buy space on its apps and website that readers will spend a certain amount of time there. For instance, it will guarantee that a site containing an ad appearing for three weeks will receive X hours of readers’ attention — documenting, not assuming, engagement with the medium. Other companies try to trace the links (or not) between online platforms and sales outcomes. They buy point-of-sale data from retailers and have systems that purport to match Facebook or Twitter IDs, for example, with a given campaign and subsequent retail sales for a product. The validity of these approaches is still to be determined. And the FTC has raised concerns about privacy issues and disclosure practices, and has urged Congress to pass legislation to give consumers the right to opt out. But shining light on what does and doesn’t happen here will be a good thing. Business success requires linking customer-acquisition efforts with a coherent strategy. You can’t do that if you are not clear about the differences between hype and reality when it comes to buying and selling. And we should care about this distinction for reasons that go far beyond making even more ads more viewable. Companies’ abilities to make better use of their resources are important for society, not only shareholders. It spurs productivity, and productivity — not just tweets and selfies — is what spurs growth. 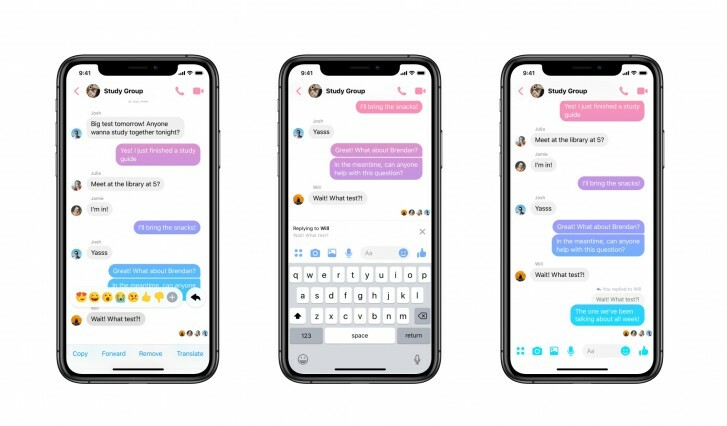 Today Facebook Messenger has added a sorely missing feature – quoted replies. This allows you to reply to a specific message in a conversation, and is incredibly helpful when you’re engaged in chats that have a big range of topics. Using the new feature, the people you’re talking to will now know exactly what you were replying to with that “LOL”, for example. This has been a feature in WhatsApp, which is also owned by Facebook, for a very long time, and it’s always been sort of a baffling omission in Messenger. So it’s good to finally see it there too. In order to quote a specific message, long tap on it and you’ll see a new Reply button to the right of the reaction emojis. Tap that, write your reply, and, just like in WhatsApp, the message you’re replying to will appear above your reply. Easy. This potentially means you’ll have less misunderstandings with your friends as to which message was referencing what. CFO Dave Wehner talked about it at a conference on Tuesday and warned that it could damage Facebook’s capacity to target users with ads. Facebook says its long-awaited “clear history” privacy feature will finally launch at some point in 2019 but it could prove problematic for its business. In May 2018, as Facebook battled with the aftermath of the Cambridge Analytica scandal, CEO Mark Zuckerberg announced the social network was building a “clear history” feature that will let users instruct the social network to delete the info it holds on them. The extent to which it is a reactionary PR move was revealed by BuzzFeed News last week, when it reported that Zuckerberg decided to announce it in response to the Facebook’s mounting scandals, and that it “didn’t exist; it was barely an idea” at the time. 1. Make your site SUPER fast! How do I make my website faster? Well, you’ll be pleased to hear that there are lots of things you can do to make your website faster! Google’s PageSpeed Insights allows you to enter your website URL, and even individual page URL’s to it’s analysis tool. 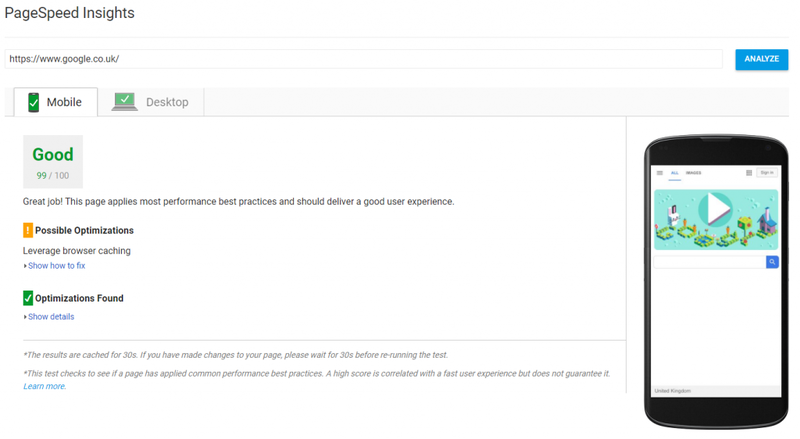 Once your website, or website page, has been analysed, PageSpeed Insights will display both a Mobile and Desktop score out of 100, based on your website’s URL. Google will suggest required optimisations, possible optimisations, and optimisations that are already in place in order to improve your website’s page speed. It’s near on impossible to gain a 100/100 page score, due to many factors, such as, page caching, etc. However, the higher your score, and the more improvements you can make to it, the better your chances are at improving your website’s loading time and overall page speed. As well as telling you what could be improved to increase your website’s loading time. We recently changed our hosting provider to SiteGround and instantly increased our loading times. Surprisingly enough, Google publicly announced that website loading times and page speeds actually effect, and get taken into account, when calculating your search engine ranking position. So, making your website SUPER fast not only affects the conversion rate on your website, it is also a factor in determining your search ranking on Google. Search Engine Optimisation (SEO) involves various factors, but we are confident that a super fast website should be your number one priority in 2018. Google RankBrain is essentially an artificial intelligence system used in Google’s core search algorithm. RankBrain uses a set of mathematical processes to learn and calculate how people use search engines, why they search, and what they search for in order to apply logic to future searches. RankBrain updates itself constantly, rather than being pre-determined like it used to be. Using AI, Google RankBrain is able to determine the current date, and produce a logical search result based on what we’ve searched for. If we were to fast forward into January 2018 and search using the same keywords, Google would recalculate it’s results based on the day of the search – clever right? How does RankBrain affect SEO? RankBrain is more of a ranking signal than an SEO masterpiece, however, it does have some effects on SEO, and can be especially useful if users don’t know 100% what they’re looking for, or simply can’t find the right words to use. Let’s imagine you own a weather website, and you want to focus your keywords around the term ‘hailstones’, RankBrain can turn ambiguous search terms into relevant keywords that point in your website’s direction. If someone searched for “that hard cold stuff that falls from the sky”, RankBrain would cleverly translate that into the most familiar result, being ‘hailstones’. 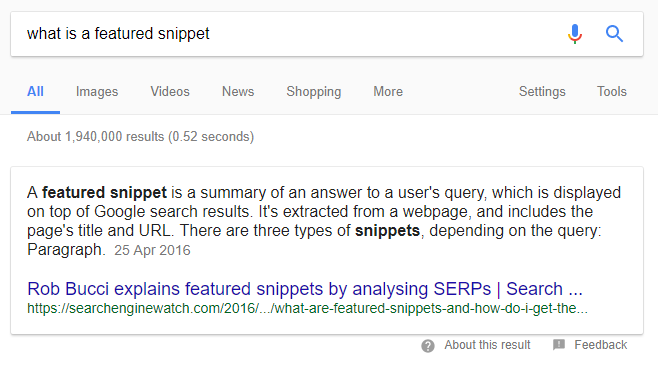 When someone enters a question into a search engine, a featured snippet will show a small summary of the top ranked answer above any search results. The answer is extracted from a relevant webpage and will show the webpage’s title and URL to read further. Why are Featured Snippets good for SEO? How can my website show up as a Featured Snippet? 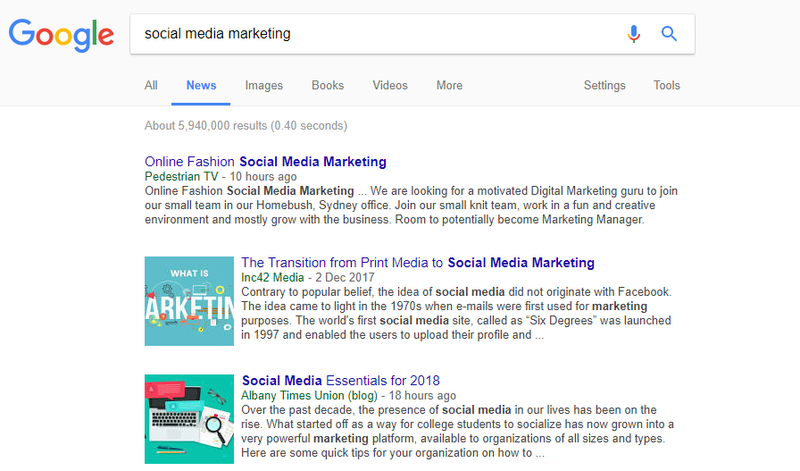 Similar to Featured Snippets, Quick Answers provide what they say on the tin; quick answers to users’ questions based on a search. Quick Answers provide, sometimes multiple amounts of, relevant information based on the question a user has asked, along with the webpage’s title and URL. Having a mobile responsive website is user friendly, expected, and also counts as a ranking signal on mobile searches with Google. This means, if your website is not mobile friendly, it could have a serious effect on your SEO, as Google want to ensure mobile users are receiving relevant and optimised search results. Thankfully, Google comes to the rescue once again. We have to give it to them, if Google make changes to their ranking system, they are extremely dedicated to ensuring their users have easy access to relevant information in order to ‘keep up’ with changing technologies. 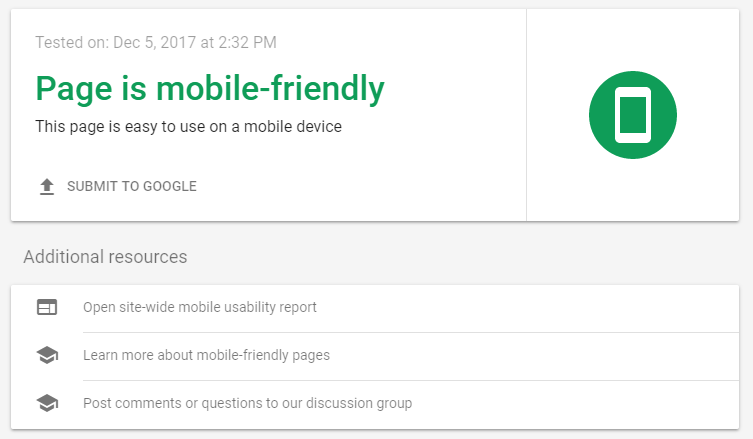 Google’s Mobile-Friendly Test is designed very similarly to PageSpeed Insights, in that you can enter your website’s (or any website’s) URL into the search bar, and the results will simply display whether the site is mobile-friendly or not, and how to improve it. Long tail keywords may seem like going against the grain a little in terms of SEO, because they notoriously don’t generate as much traffic as shorter keywords, however, they do have a purpose! 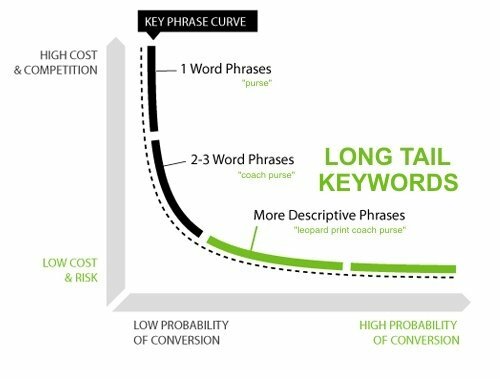 In order to be more specific about a product you’re trying to sell, or a service you offer, using long tail keywords is the answer. If you’re more specific, you’ll have less competition; this is a great opportunity especially if you’ve just started your SEO strategy for your new website. Let’s take a look at an example to break down what using long tail keywords really means. High quality, in-depth, and meaningful content attracts users – it’s a fact! If your website contains content just for the sake of it, it’s not going to mean anything to your website users. If they can related to the content, and it’s the right kind of content, they’re going to come back for more. Quality most certainly trumps quantity, but don’t be afraid to create a lot of content (as long as it’s meaningful). Admittedly, it can be tough thinking up new content for your website, and keeping it up-to-date, however, we have a few tips and tricks that you can follow. Let’s say your website focuses on social media marketing, but you’re not sure what to write about. Google News is a great free tool where you can type in pretty much anything, and receive the latest news surrounding your search topic. Market Research: Identify your audience and brainstorm ideas – even go as far as collecting research and data on your potential customers in order to ensure you have suitable content for various types, e.g. blog articles, infographics, FAQs, etc. Multiple Platforms: As well as having a website full of high-quality content, don’t be afraid to reach out into other platforms, such as, blogging, social media, etc. The more content you have in various places, the more backlinks you gain, leading users back to your website. We’ve touched on this point slightly already, but it’s worth looking at in further detail to understand why updating your website content and articles, blog posts, etc. are so handy when it comes to SEO. Google offers a free web service called Google Search Console which allows you to analyse your website’s data, and gives you an indication of how you can optimise your website in order to increase visibility and SEO. If you look at your click-through ratio (CTR) and find that a particular page on your website is performing badly, it’s a clear sign that your content needs updating. When you’re updating your content, always ensure that it contains relevant keywords to your website, whilst not bombarding your users with unnatural content. Poorly Written Content: We’ve likely all had times where we’ve rushed a piece of content in order to get it published, not realising spelling or grammatical errors. Check back on your old content thoroughly, have a good read through and make sure it packs a punch for your readers. Remove Content: Check up on your website’s analytics to see if your website or posts are bringing in little to no search traffic; don’t be afraid to remove content that isn’t relevant any more. If you have 10 pieces of content, where 4 out of 10 of the pieces are performing really well, focus on those first and get them updated. Outdated Information: Perhaps you wrote a really engaging piece of content 12 months ago – great, but that was 12 months ago; ask yourself, is it relevant any more? If your content was gaining a lot of search traffic, and no longer is, update it based on the latest facts and figures to bring back your users. Would you purchase something from a website if you knew it wasn’t secure, and nor were your personal details? I guess the answer would be definitely not. If a user is performing an online transaction, or filling in a confidential form, they are more than likely going to want to be reassured that their details are kept safe and private, as opposed to using a website that doesn’t have the HTTPS URL. As well as knowing that your website is safe, Google have confirmed that they now include HTTPS as a ranking signal, meaning if your website is secure (vs not secure), your website will be higher up the search engine ranks. If you’re running an online business, it’s essential that you have an SSL licence to ensure your customers’ data is protected. Many web hosts, such as, GoDaddy and HostGator include a free private SSL when you purchase their business or eCommerce plans. It’s certainly worth keeping an eye out for when choosing a web host, as purchasing an SSL licence can be expensive. Scrimping on safety is not the way forward! There’s absolutely no doubt about it, social media marketing is huge, as is social media itself! Statista has confirmed: “Social network penetration worldwide is ever-increasing. In 2017, 71% of internet users were social network users”. So, 7/10 people using the internet are also social network users; that equals a large market to target. If your website or business has no social media presence, you’ll be losing out on a lot of potential traffic, and a decline in your SEO. There are lots of tips and tricks available on the internet regarding social media marketing, with free tools available to analyse how will your social media presence is doing, such as, Facebook Audience Insights. We’ve compiled a small list of tips to get you started on your social media journey. Engage with your social media followers by creating offers, competitions, ask questions, etc.